Last Friday, 27th October​, the launch party of the Range Rover Velar in Brazil took place in one of the most ​exclusive spaces in São Paulo: Casa Fasano. The event was attended by approximately 500 guests among customers, dealers, press and influencers. Those who attended ​​​had the opportunity to see the Range Rover Velar​ and ​its innovative and reductionist design. 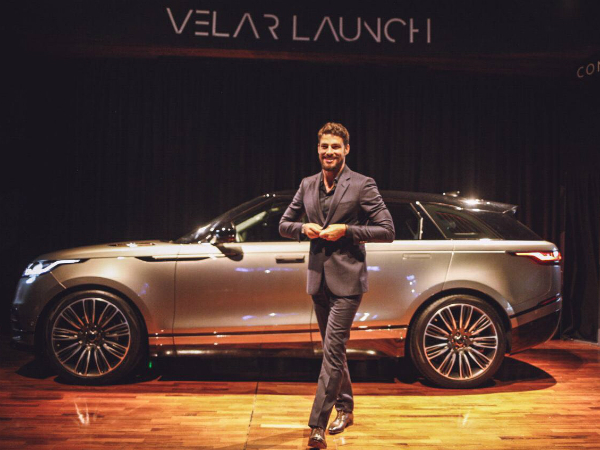 The event had​ ​the soundtrack ​​​by DJ Bruno Martini​, as well as​ the presence of Brazilian ​Land Rover Brand Ambassador, actor Cauã Reymond. The fourth vehicle of the Range Rover family was also on display at the renowned art complex International Bienal of São Paulo, for guests only, during the weekend. To show the new model, Land Rover built six installations to showcase technology, design, heritage, motorisation and personalisation.